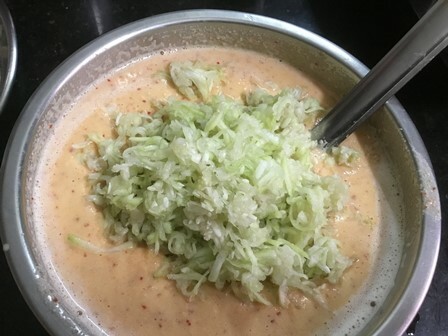 Suraikai (bottle gourd) adais are healthy and filling dish for breakfast. These Suraikai (bottle gourd) adais are made with chana dal, toor dal, urid dal, rice and grated bottle gourd. 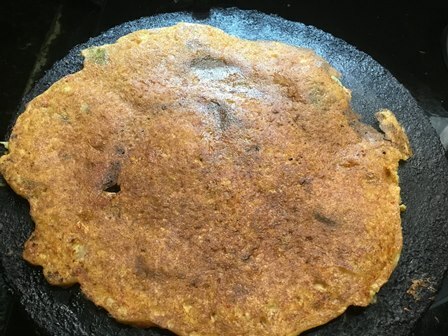 This adai is very easy to make, nutritious and perfect way to include bottle gourd for all of us. Simply soak the dals, grind them and add the grated bottle gourd, chopped onions and curry leaves. These are the three simple methods needed to make these healthy adais. You can also add grated coconuts, chopped coriander leaves for this adai. 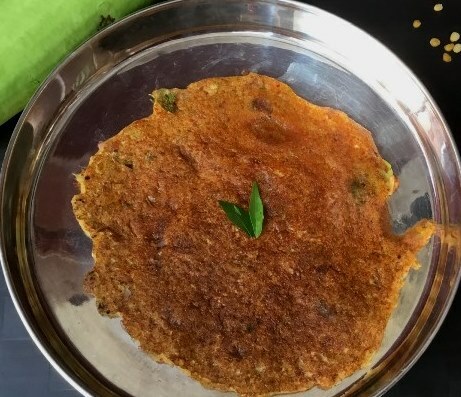 You can serve this adai without any chutney and sambar. 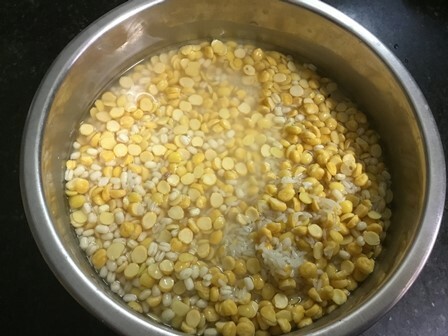 Take a wide bowl or vessel and add the rice, chana dal, toor dal and urid dal. Wash them well and pour 5 cups of water. Soak them well for 2 to 3 hours. After 2 hours, drain the water completely. 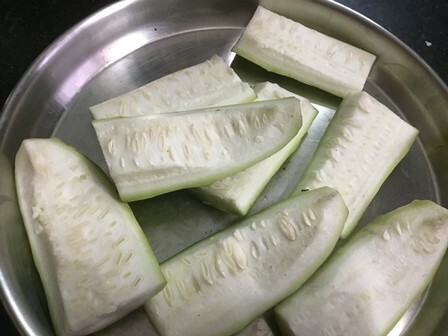 Wash the bottle gourd and peel the skin completely. Cut them into small wedges and remove the pith and seeds. Grate them evenly using a carrot grater. 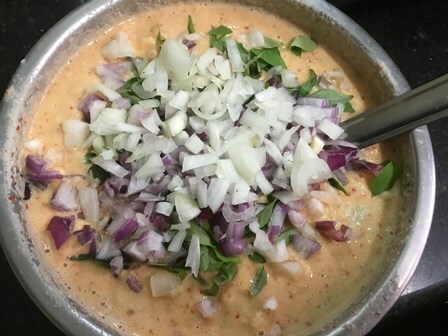 Add the soaked dals, dried red chillies, green chillies, asafoetida powder in a big mixer jar or wet grinder. Grind them nicely. Add water in between and grind it. Transfer the batter to the bowl and rinse the mixer jar with 2 cups of water and add it to the batter. Add the required salt and mix them well. 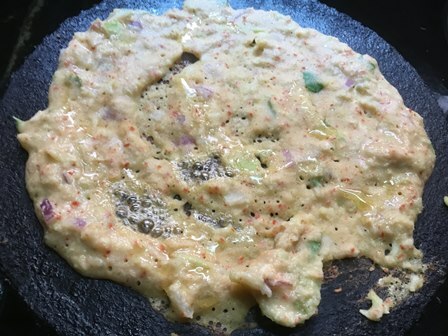 Add the grated bottle gourd, chopped onions and curry leaves to the ground batter. 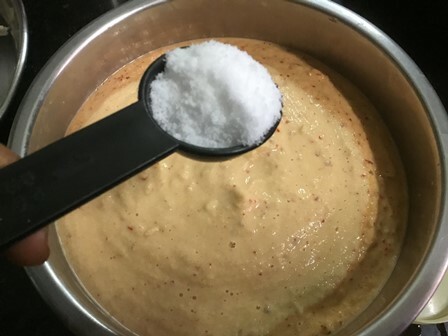 If the batter appears thick, add some more water and mix them well. Heat the dosa pan on medium heat. Take 2 ladles of batter for each adai and spread them in the circular motion. Swirl 2 tablespoon coconut oil over the adai and cook them well until the underside is dark brown. Flip the adai and cook on other side for 2 minutes. After 2 minutes, transfer the adai to the serving plate. Wipe the dosa pan with a white cloth and repeat the same process for the next adai. Cooking the adai on medium heat will give you uniform results. 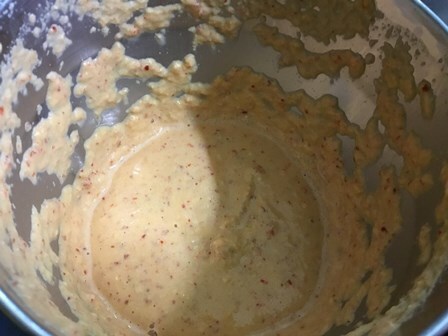 Add the soaked dals, dried red chillies, green chillies, asafoetida powder in a big mixer jar or wet grinder. 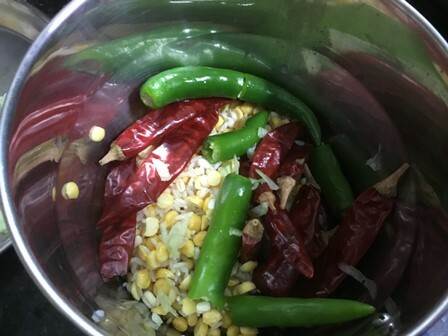 If youare grinding in a wet grinder, grind the green chillies and red chillies in a mixer jar and then add it to the wet grinder. 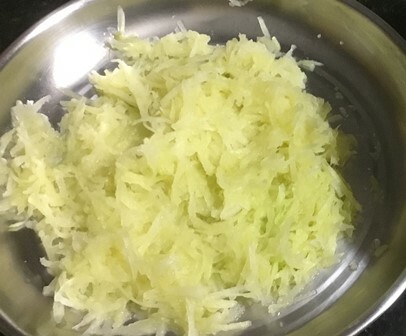 Add the grated bottle gourd, chopped onions and curry leaves to the ground batter. If the batter appears thick add some more water and mix them well. Heat the dosa pan on medium heat. Take 2 ladles of batter for each adai and spread them in the circular motion. Swirl 2 tablespoon coconut oil over the adai and cook them well until the underside is dark brown. Flip the adai and cook on other side for 2 minutes. After 2 minutes, transfer the adai to the serving plate. Wipe the dosa pan with a white cloth and repeat the same process for the next adai. Cooking the adai on medium heat will give you uniform results. 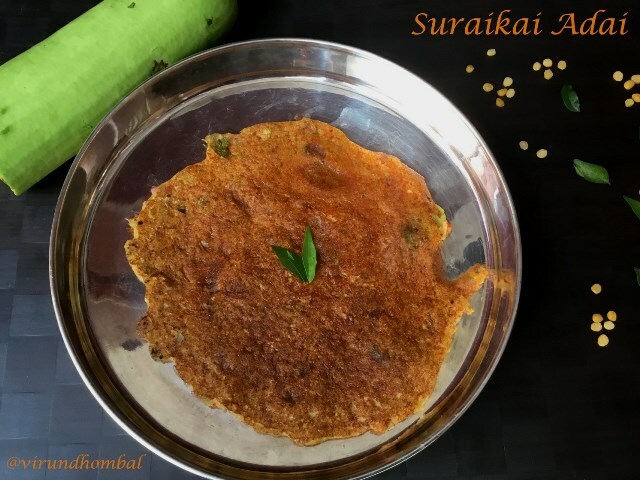 If you try this recipe for Suraikai adai send us your comments below and share the recipe for your friends and family.